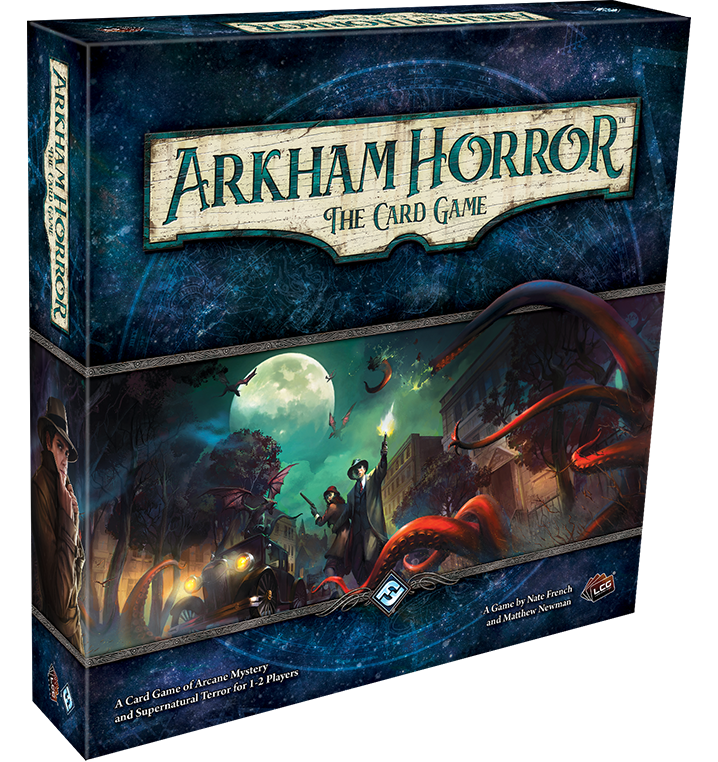 Order your own copy of Arkham Horror: The Card Game at your local retailer or online through our website today! 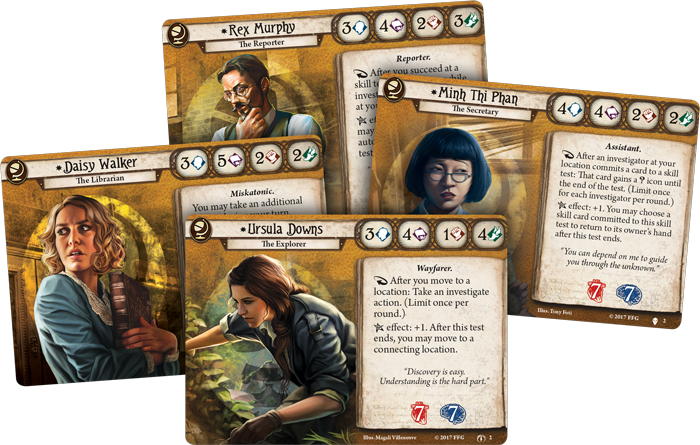 In Arkham Horror: The Card Game, you become part of an unlikely team of investigators, battling to defend the world against maddening creatures that defy explanation. Each player is a vital member of the group, whether they're seeking out clues, guarding allies against cultists and monsters, or bending unnatural power to their will. 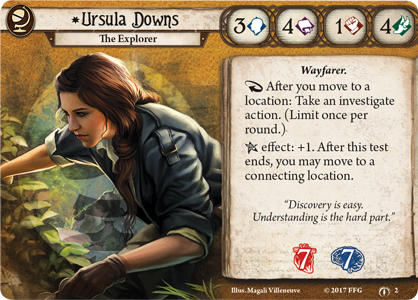 As the stories of Arkham Horror: The Card Game have progressed from the Core Set, through The Dunwich Legacy and The Path to Carcosa, each faction has evolved, gaining new investigators and player cards to help them battle the many threats they face. Now, as we move into The Forgotten Age, we turn to guest writers Frank Brinkley and Peter Hopkins for insight into what makes each faction unique, how they have changed, and how they interact to form a full team. Frank and Peter created the Drawn to the Flame podcast in 2017, combining their love of gaming and the Cthulhu Mythos to share the madness with the community. In this article series, they will bring us through each faction in turn, starting with the Seekers, the brave bookworms who work to survive the Mythos by understanding it. 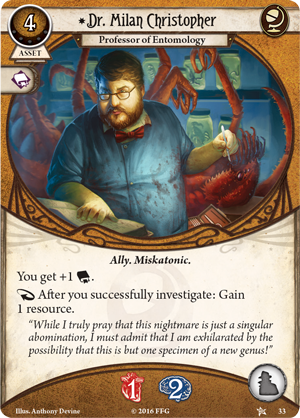 In a game of Arkham Horror: The Card Game, every scrap of knowledge you can get your hands on might make the difference between victory and defeat. These scraps normally take the form of clues. Without clues, even the best prepared team of investigators can quickly find themselves stalling. Every faction has ways of getting clues, sure, but one class in particular stands head and shoulders above the rest: Seeker. 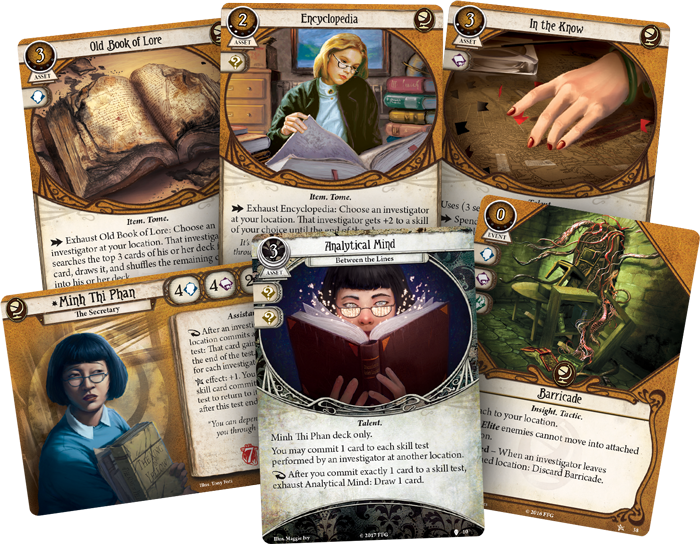 Since clues are the currency of progress in Arkham Horror: The Card Game, we’ve decided to look at those maestros of clue-gathering—the Seekers. So who should play as a Seeker? 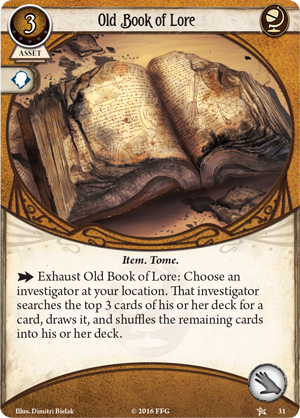 These investigators are unmatched when it comes to, well, investigating; if you want to be the player responsible for forging ahead, even if that means wading into trouble every so often, Seekers have the tools to race around and find the clues your party needs. Unparalleled investigative abilities mean you’ll always feel confident snatching up clues like a Rogue pockets loose wallets. 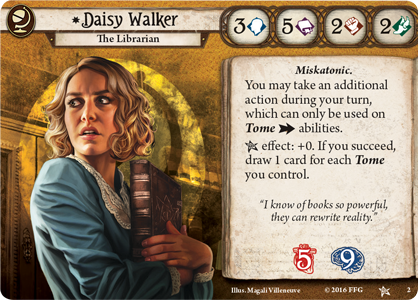 The first thing you notice when picking a Seeker is the universally impressive intellect scores: Rex Murphy (The Dunwich Legacy, 2), Minh Thi Phan (The Path to Carcosa, 2) and Ursula Downs (The Forgotten Age, 2) all have a respectable four intellect, while Daisy Walker (Core Set, 2), with her connection to Miskatonic University’s Orne Library, boasts a mighty five intellect. Passing investigation tests is never going to phase you, and that’s before you’ve brought to bear the tools that any Seeker worth their salt employs. 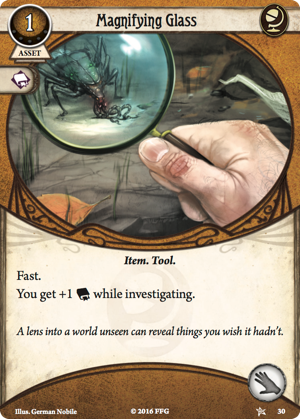 A Magnifying Glass (Core Set, 30) makes gathering clues that little bit easier and Deduction (Core Set, 39) lets you grab multiple clues for one action. With these cards at the ready, it’s hard not to feel just a little bit satisfied: you want clues? I’ve got this, folks! 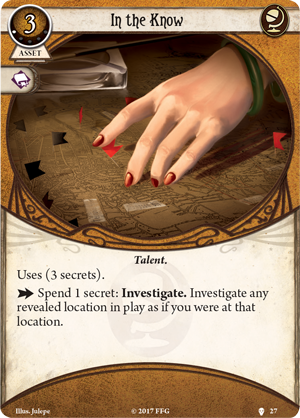 Add in a splash of experience and you’ll find your clue-finding abilities improve even more: the upgraded versions of those cards take that feeling of being a clue-hound and enhance it. Quicker, cheaper tools! More clues! 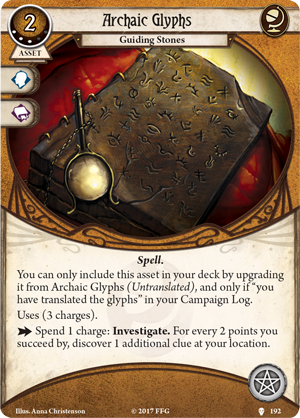 Or you can go for even more powerful cards, like Archaic Glyphs: Guiding Stones (A Phantom of Truth, 192) and Deciphered Reality (Lost in Time and Space, 303) to take clue-gathering to another realm entirely. Boosting your intellect to obscene heights is wonderful when the Archaic Glyphs let you turn that to your advantage; suddenly you’re able to sweep whole locations clear of clues in a single action. 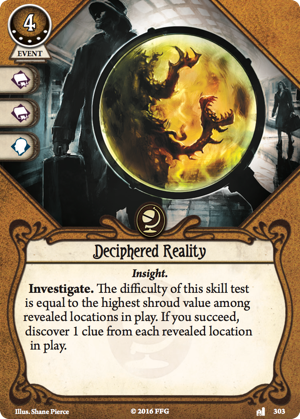 Decipher Reality sees you picking up clues many locations away (and at every location in between); surveying the map, it can feel like you’re being posed a puzzle that only your skills and knowledge can crack. Where’s the answer? What tools do I have to solve this situation? In higher player counts, where locations are frequently chock full of clues, any way of getting multiple clues in a single action is vital. You wouldn’t expect a Guardian to be only doing one damage with every attack! Fortunately, if you’re playing Seeker, this is where the faction comes into its own. 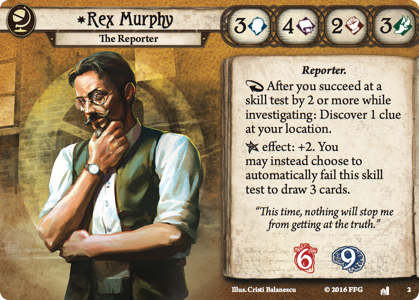 With a reliable boost to his intellect, such as having Dr. Milan Christopher (Core Set, 33) in play, Rex Murphy can scoop up an additional clue with his reaction ability every time he succeeds at an investigaton by two or more. That doesn’t sound like much, until you realize you’ve grabbed six clues in a single turn! Even in a faction acknowledged as the expert clue gatherers, Rex outstrips his colleagues. 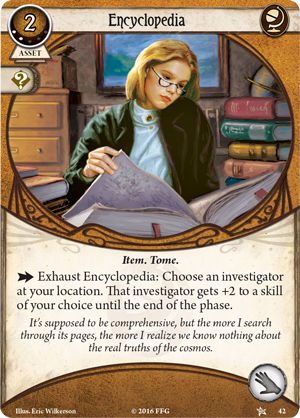 Getting clues is great, but it isn’t the be-all-and-end-all of playing as a Seeker. 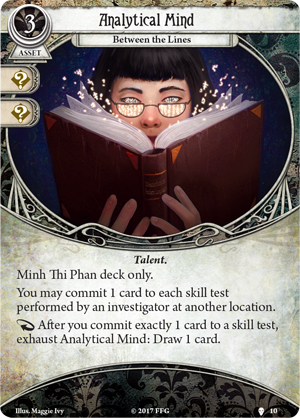 If helping others takes your fancy, consider Minh Thi Phan: her reaction ability enhances the value of everyone’s cards committed to skill tests. Armed with an Old Book of Lore (Core Set, 31) or an Encyclopedia (Core Set, 42), she can share out cards and skill boosts, too, like she’s desperately thumbing through the pages and slinging out nuggets of knowledge. 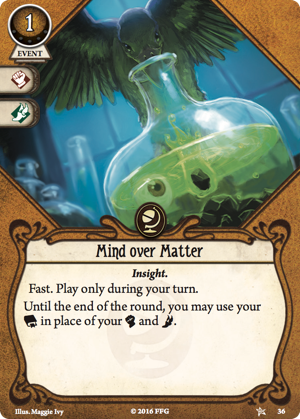 Minh’s Analytic Mind (The Path to Carcosa, 10) lets her stand somewhere safe, out of the way of roving enemies, while still supporting her team. 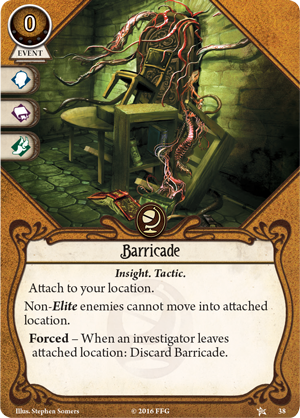 She can even Barricade (Core Set, 38) the door to make sure she isn’t interrupted while she continues to find clues with In the Know (The Path to Carcosa, 27). When you’re playing Minh like this, you may not feel like you are contributing much to the regular activities of the team. You fight fewer monsters and possibly even pick up fewer clues. 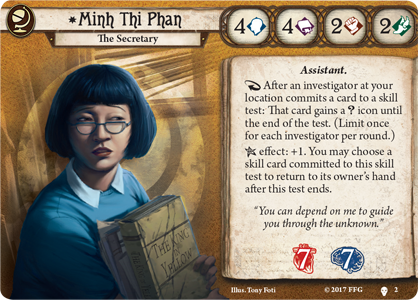 But, crucially, your contributions mean that the other investigators can push themselves that little bit further, or save their own cards for the times they most need them, knowing that Minh’s got their backs. Time after time, other people will succeed because of the skill cards you’ve committed or the extra icons on their tests. These extra icons stack up, in particular if your team is standing together fighting a crucial enemy. Minh will rarely throw the final punch, but she knows exactly how to make sure it lands. 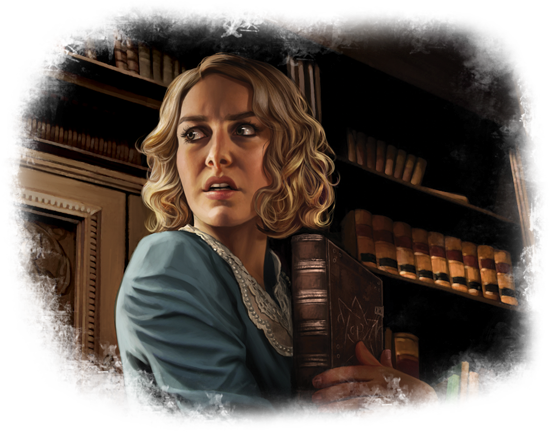 This being the world of the Arkham Horror Files, trouble will surely come knocking. Seekers often have to rely on their wits or brains over pure speed or strength. 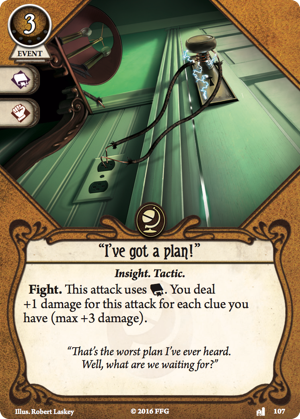 If it comes to a fight, Mind over Matter (Core Set, 36) and "I've got a plan!" 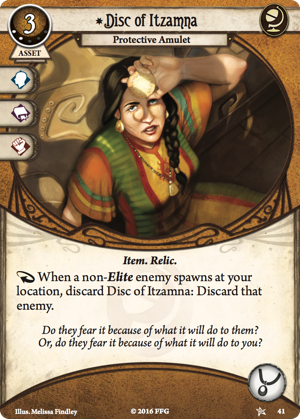 (The Miskatonic Museum, 107) both allow a Seeker to use book smarts instead of fists to deal with an enemy, and the Disc of Itzamna (Core Set, 41) sends one enemy fleeing away to the discard pile. Make sure you pick your moment to use these ploys, however; once they’re gone, you’re at the mercy of the encounter deck. And before you can even consider these maneuvers, you have to find them. 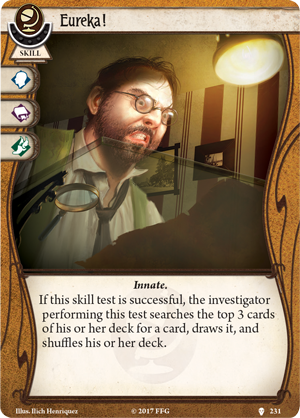 Fortunately Seekers are absolutely the best at drawing cards in Arkham Horror: The Card Game. That card draw can be found in assets, events and now even skill cards: nothing quite beats the feeling of committing Eureka! (The Pallid Mask, 231) to a test, passing, and shouting "Eureka!" as you find just the card you’ve been hoping for. 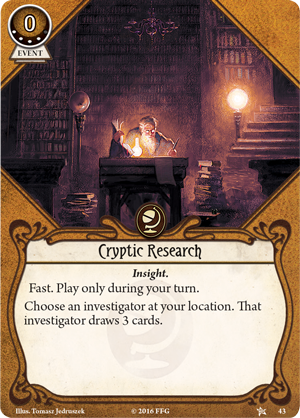 For raw draw power, nothing can beat Cryptic Research (Core Set, 43), which gives you three cards while costing no resources and no actions. Playing it feels like a moment of inspiration as your hand swells with the cards you need to succeed. What card draw really translates into is options, and having more options is incredibly useful. Seekers are the faction that's best placed to pitch cards to skill tests: the more you draw, the more you know and the more you can help. There’s nothing quite like sitting there with a handful of cards as the Seeker, knowing you can help out in a pinch. As a Seeker, you're never short of an answer! And that’s at the heart of what being a Seeker is all about: with knowledge comes the opportunity to make the right choices. As you feel the brush of doom’s fingertips upon your back, you’re responsible for pushing the whole team forwards. Whether that’s by racing for clues or empowering your colleagues is up to you—but you’ll be the one who keeps your team from stalling! To have any chance of standing against the maddening monsters that threaten Arkham as they rip apart your understanding of the world, you will need to gather as much information as possible. Step into the shoes of the Seekers and uncover secrets long lost to time. Remember, knowledge is power. 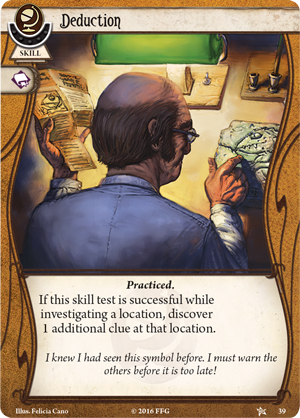 To join the investigation, you can pick up your own copy of Arkham Horror: The Card Game (AHC01) at your local retailer or on the Fantasy Flight Games website today!